In late October, Erica and Gene were joined in marriage at a private ceremony in the park. I love photographing a happy couple's casual portraits just after their marriage ceremony. In the presence of joy, peace and comfort, genuine emotions run free. 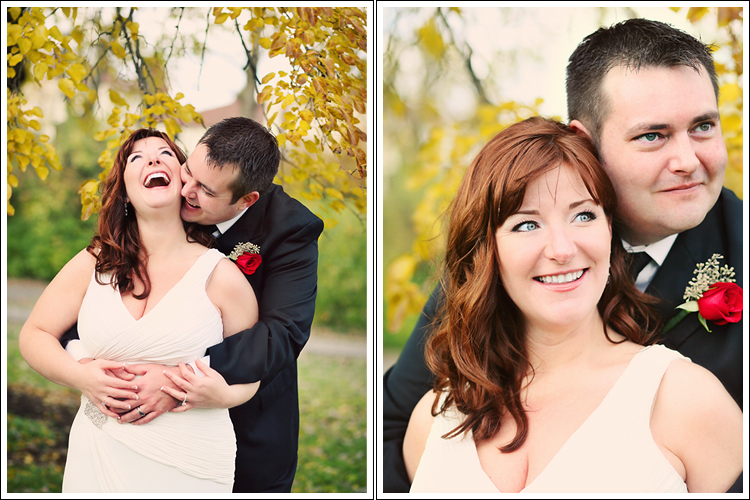 Erica and Gene, thank you for sharing your genuine, carefree love for the camera! What a beautifully, expressive woman Erica is! Loved! the awesome color accent brought in by Erica's shawl.